Fashion earrings bronze finition with purple jade pearls. 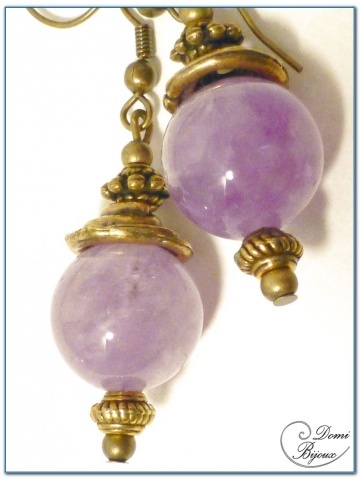 This fashion earrings bronze finition are made around natural purple jade pearls of 14 mm diameter. A cap and small bronze pearls encircle the jade pearls, above and bellow. 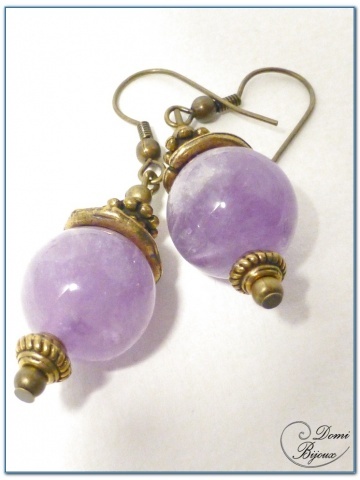 The metal used for this earrings is nickel free, so do not fear allergies. 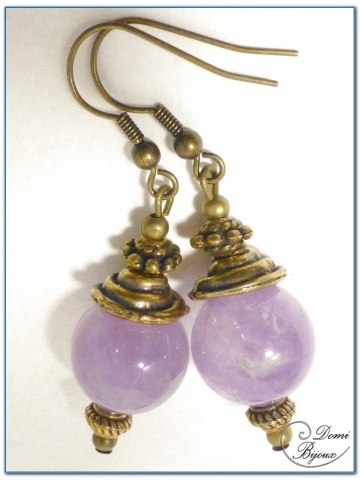 The mix of purple pearls and bronze colour of metal éléments give this earrings a romantic charm. Tou will receive this jewels into a cloth pouh, so to store them carrefully when you don't wear.